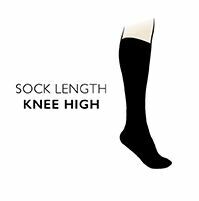 The classic looks of Argyle and luxurious feel of ultra soft cashmere makes these Pringle of Scotland 80% Cashmere Argyle Pattern Knee High Socks the deluxe choice when you want socks that can be warm, yet light and soft too. The cosy, breathable comfort of cashmere arrives at that distinctive diamond design by Pringle using the traditional intarsia knit process, with no loose ends left inside the sock. For even more softness and strength, Pringle added a little polyamide and elastane resulting in a light, fine and well-fitting sock, finished with non-irritating smooth toe seams and an embroidered Pringle logo.